The New South Wales Swifts are learning a new language as they pursue a collective self esteem that can propel them into a maiden Suncorp Super Netball finals appearance. Heavyweights in the early days of Australia’s national league and the trans-Tasman competition, the Swifts were cut some slack as they struggled for results with a rebuilding team in 2017 and 2018. The roster was assembled under a five-year plan and sometimes being competitive was enough for the young outfit. Having retained the bulk of that squad, this year their goals have been set higher to reflect the maturation of a group who are now hungry for finals. “We’ve changed our language completely,” assistant coach Anita Keelan said. “We don’t want to be known as a young team doing well. We want to win. “Most of the players aren’t young girls anymore. They’re into their fourth or fifth years in the league. Internationals Helen Housby and Sam Wallace have now had time to find their feet, while defenders Maddy Turner and Sarah Klau are entering their fourth seasons in the competition.“There’s many sides to Maddy, and there’s a serious side to her that not many people get to see. 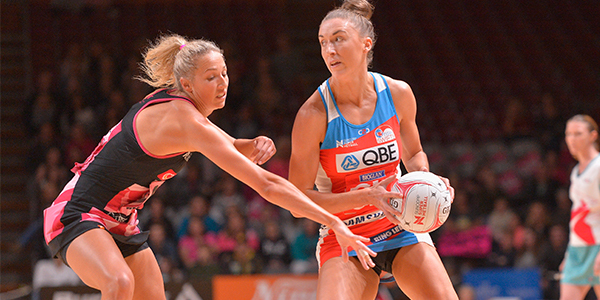 One big change for the 2019 Swifts will be finding a replacement for former captain Abbey McCulloch who has stepped away from Super Netball this year. That job has landed in the capable hands of midcourter Maddy Proud. Proud has captaincy experience, having led the Australian under-21 team at the 2013 World Youth Championships team in Scotland. Keelan was an assistant with that team that finished runner-up to New Zealand, and recalled how highly Proud was regarded in such a crack outfit. That young team included future Diamonds Hadley, Gabi Simpson, Kim Ravaillion, Courtney Bruce, Jo Weston and Gretel Tippett. Kate Shimmin, Kaylia Stanton and Kristina Brice also served under Proud. “This could be her year. I know she’s keen on a personal level to be a Diamond and we’ll do everything we can to assist her,” Keelan said. “There’s many sides to Maddy, and there’s a serious side to her that not many people get to see. 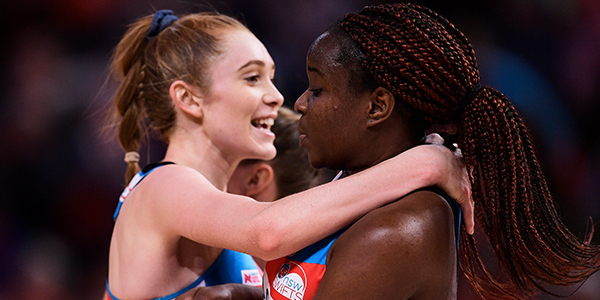 Tickets for the 2019 Suncorp Super Netball season are available now. Get yours here.